Once again, the game is afoot . 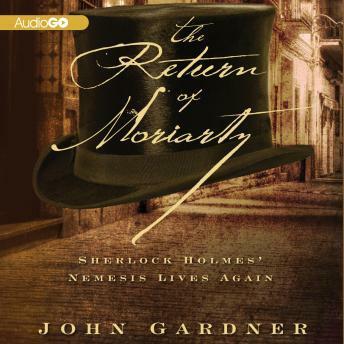 . . What really happened in Switzerland between Moriarty and Sherlock Holmes in 1891? And why is Holmes, now in London at 221B Baker Street, curiously uncooperative with Scotland Yard's inquiries? Furthermore, why has Moriarty planned a grand meeting with the international crime syndicate? These are the questions that make up the larger mystery of the sinister Professor Moriarty's return.